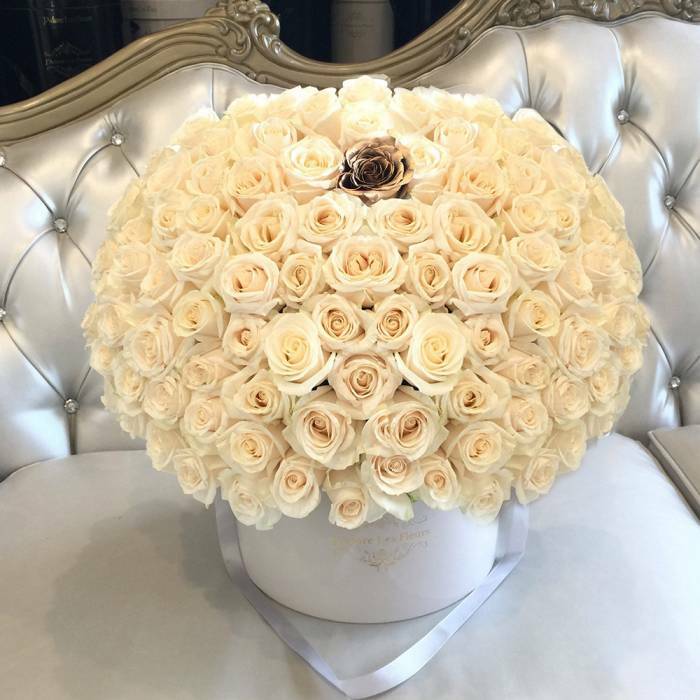 Capture the essence of elegance, romance and passion on your Anniversary with this stunning box of classic white roses carefully put together with effort and detail one by one to create a smooth dome shape. Each gold rose represents the years you have celebrated love! The arrangement in the photo is 200 roses in our Large size box. Please specify the desired number and color of the middle symbolic roses during the check out in the Special Instructions area.